Hands down, this is my favorite time of year. I love the time with family and friends, listening to christmas music, decorating, christmas lights, christmas crafts, all of the special events and I love focusing on the Joy in the most beautiful story in the whole world - God reconciling himself to man, by an infant born in glory. This year Silas is into everything and can really understand what is going on and is so excited - which in turn makes me excited. We are getting our tree up and welcoming in the Christmas season this week along with everyone else so if you are looking for some Christmas crafts to do this year, here are just some of the past ones I have done. I love making wreaths, especially for the seasons. They really are way easier than most people my think and you can use all sorts of items to make them. 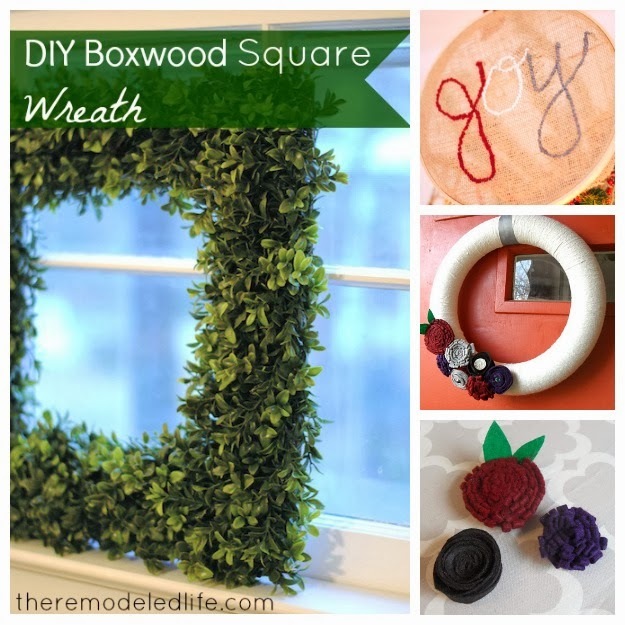 These are a few of my favorites - a square boxwood wreath, a yarn embroidery hoop wreath and a yarn wrapped felt flower wreath... and also a felt flower tutorial. Enjoy your christmas crafting! 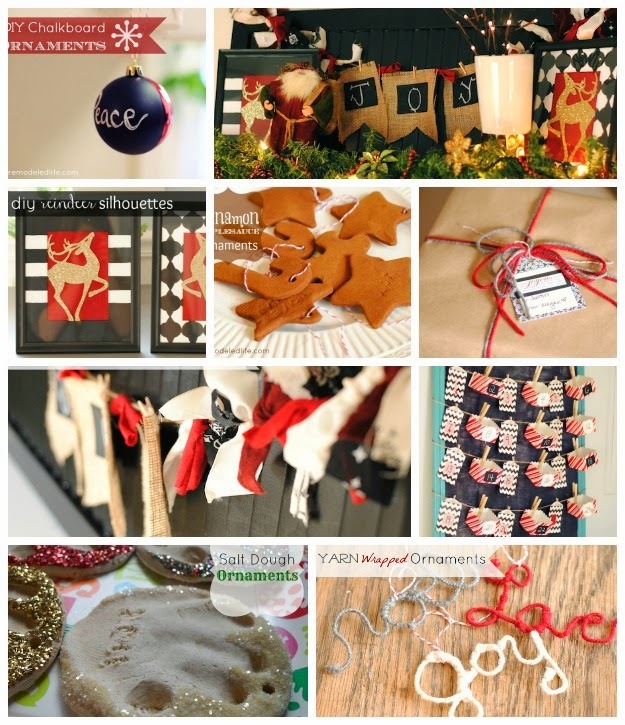 I know I have several crafts on my list to do this year so hopefully I will share soon! Have a great week!